A hard landing for eCommerce - Or a silver lining for retail sector? The eCommerce players' deep discount model and business growth on the back of foreign equity investments was creating a non-level playing field with brick-and-mortar retailers bearing the brunt. Press Note 3 of 2016 issued by the Indian Government’s Department of Industrial Policy and Promotion provided much needed clarity on online retail or eCommerce, clearly outlining that Foreign Direct Investment was allowed only in marketplace models. In effect, any inventory-based business-to-consumer (B2C) eCommerce operation was ineligible for any foreign investment unless it was a captive platform of a manufacturer producing indigenously or a single-brand entity already retailing through physical stores. The eCommerce players’ deep discount model and business growth on the back of foreign equity investments was creating a non-level playing field with brick-and-mortar retailers bearing the brunt. While technology driven eCommerce has shaped how more and more Indians will likely shop in the future, there had to be controls to ensure that the physical retail industry did not suffer. By ensuring that eCommerce platforms with existing FDI had to be ‘marketplaces’, meaning they could only serve as a conduit and offer an online platform in the role of a facilitator between a seller and buyer, the marker has been clearly laid out, that such e-commerce players could not own inventory. Such marketplaces could also no longer thrive on predatory pricing and offering deep discounts and now have to offer products at market prices or those offered by the sellers on their platforms. Also, restrictions in sourcing of goods have been imposed; eCommerce firms can source 25 per cent maximum goods from one vendor. With a level playing field ensured, physical retail space take-up is likely to remain healthy, provided quality retail spaces are available. India’s eCommerce space is still quite small and has so much potential to grow with internet penetration and rise in use of plastic money. Also, domestic firms which are 100 per cent held by their Indian promoters are likely to come up with counter-strategies by looking at the online B2C platform for direct sales to customers or even the B2B model, as they won’t be restricted by the FDI regulations. The omni-channel model with both online and offline delivery channels will likely be the way forward. 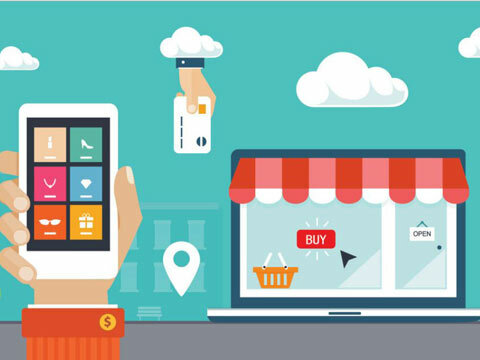 While, traditional retailers will look to go online and leverage their existing physical store presence, online retailers will look to supplement their online offerings through experience centres, thus aiding retail space take-up. There are examples of Indian domestic players and some well-known eCommerce retailers going down this path already. This will provide a further impetus to the warehousing and logistics sector. With the inventory-based model for FDI-funded eCommerce players not allowed anymore, to ensure timely delivery and product quality, it is likely that large players will invest more in their logistic and warehousing arms to provide such services to the sellers while ensuring they retain their edge over the competition. This should result in increased demand for quality warehouses as well as logistics, resulting in more institutional money flowing to these sectors. A more level playing field should ensure not only good times for the conventional retailers, but also for the buyers, who are becoming more tech-savvy, but still look for quality and good pricing as their key shopping drivers. Kids to discover a new toy land, as Funskool unveils its seventh store in Rajasthan..